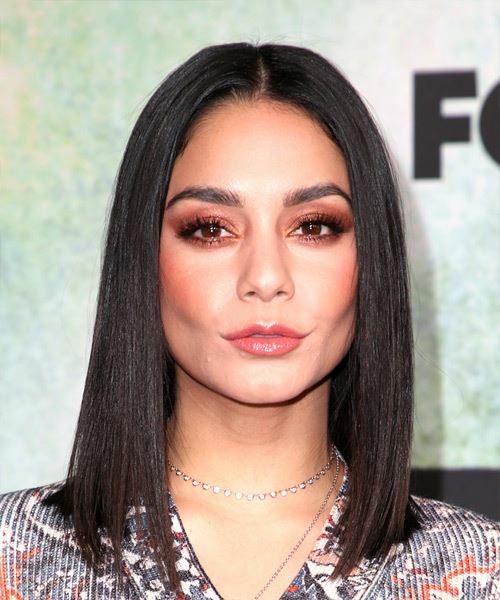 Vanessa Hudgens is a true icon at the moment! Her performance on Rent Live was breathtaking and it is only fair that she has a hairstyle that shows off her personality and power! This straight bob is fierce. The blunt cut gives her a look of power and strength and we could all use a haircut that gives us a sense of strength. Before you straighten your hair please don't forget to apply a straightening serum to ensure that you keep your hair safe from any damage that your straightener can cause. You are going to need to cut your hair once every 6 weeks or so to ensure that this look keeps its shape and body. You can place a few colored highlights to give this look more life and color. You do not need to do much with your makeup, however, a strong contour and highlight will give this look some drama. Do not forget to apply 2 layers of mascara to ensure that your lashes stand out. Now we can all look and feel like a musical theater Godess.